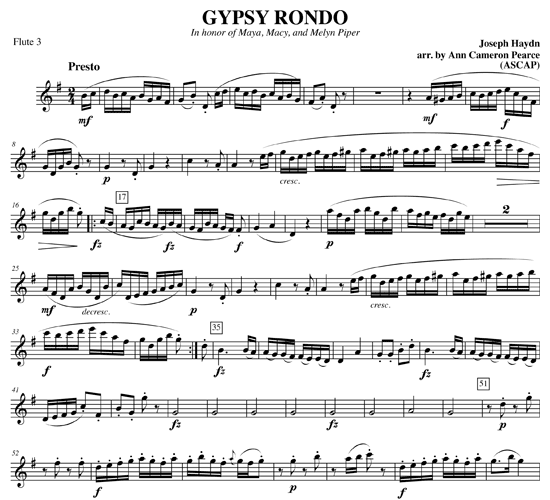 Words that describe it would include: energetic, Hungarian folk dance, and joyful interplay between melodies and instruments. 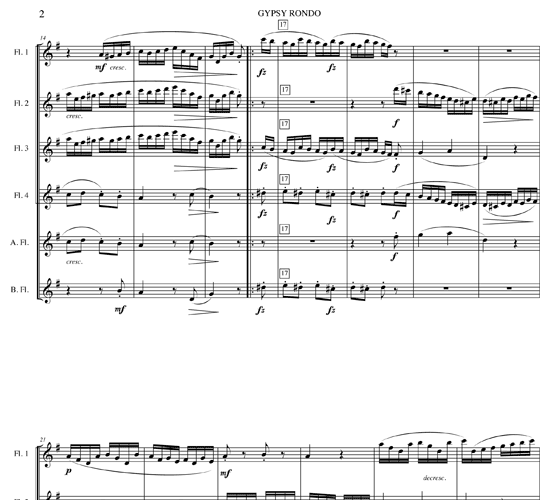 At about three and one-half minutes, it is a nice complement to more serious and lengthy selections on a program. 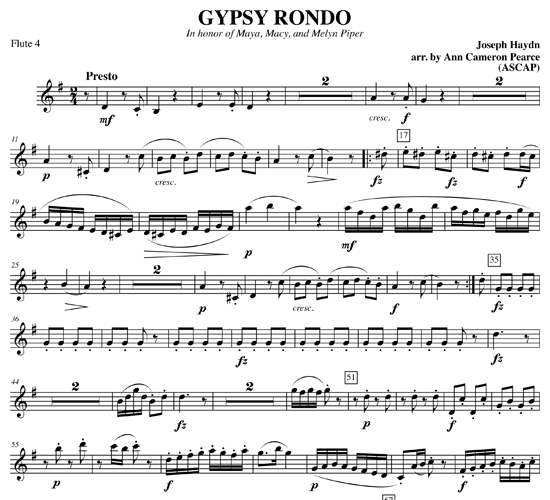 This arrangement was also a finalist in the National Flute Association‘s 2013 Newly Published Music competition. 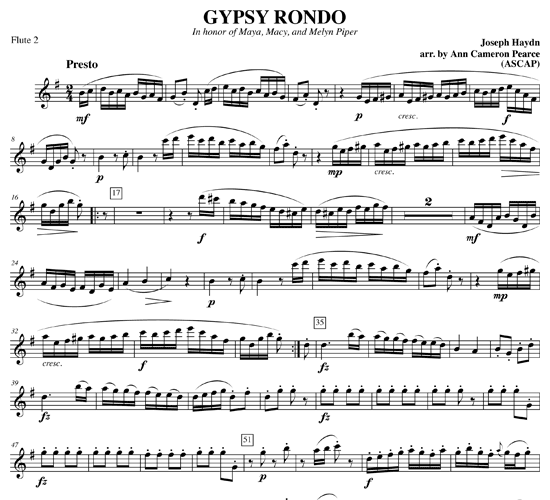 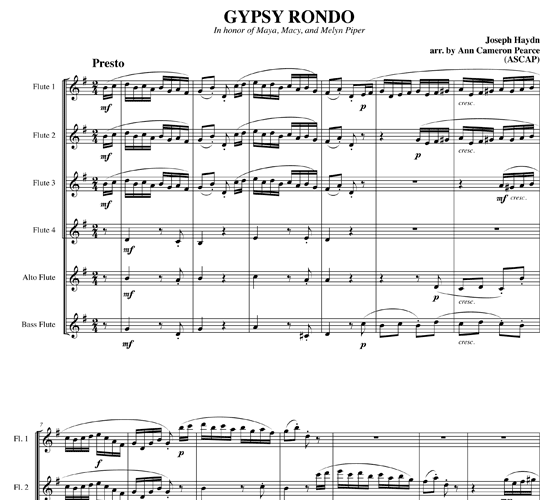 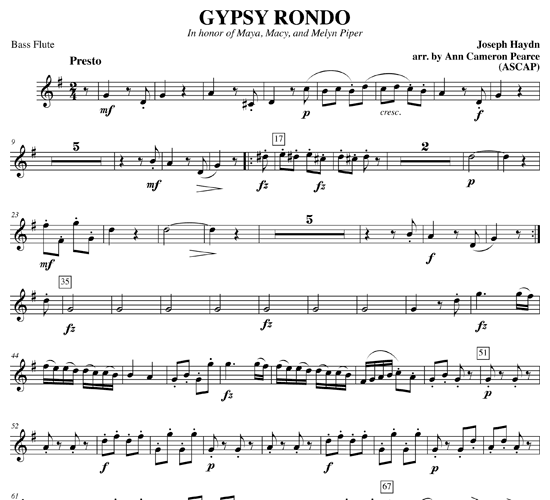 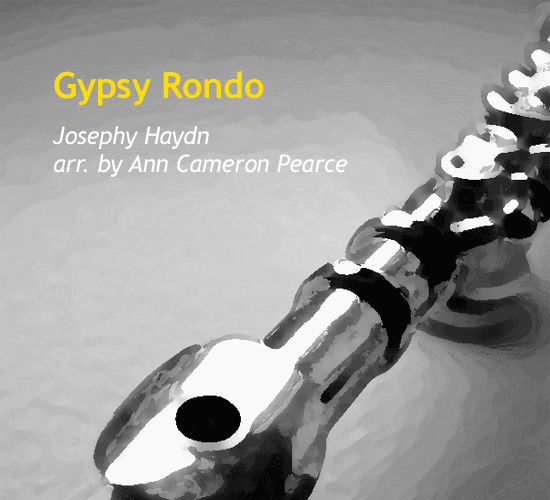 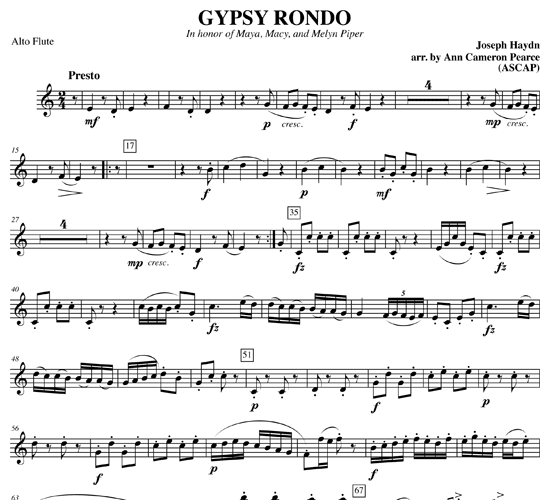 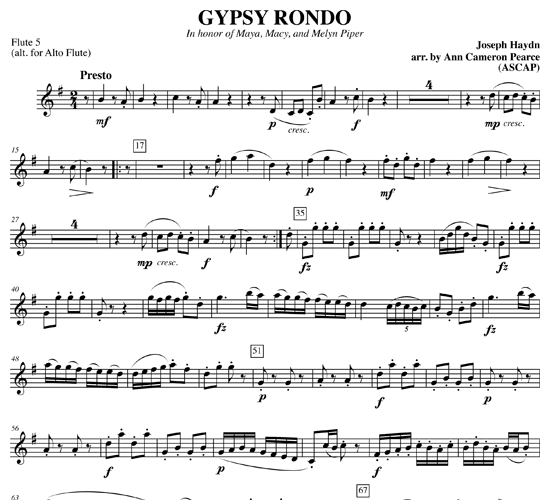 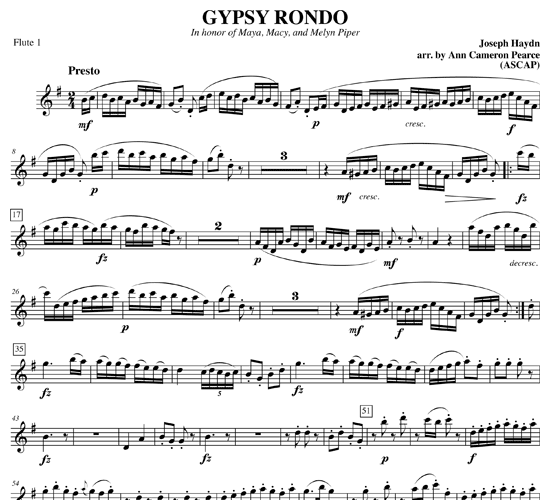 /wp-content/uploads/2012/05/mp3-gypsy-rondo-by-ann-cameron-pearce.mp3Performed by the Raleigh Flute Choir.